Team Karttis of the Finnish spatial data expert organization Karttakeskus took first prize in a hackathon that culminated the StreetReboot innovation challenge of 6–7 October. The Apuri – “helper” – app developed by Karttis recommends optimal routes for Helsinki winter maintenance crews. The app combines data on weather conditions, maintenance work and street maintenance categories. Apuri recommends a sequence for road and street maintenance work, but the final decision is always made by the driver of the vehicle. The app complies with the driver’s decisions and makes new suggestions based on them. The app can also be applied to other operations than winter maintenance. – The merits of Karttis that earned it first prize were user orientation and inclusion of human input. The team also invited other enterprises to develop the app further with them, says jury member Sami Aherva, who leads Stara’s logistics unit. The idea of the winning team will be developed further in a 20,000-euro pilot project in the Kalasatama district of Helsinki in the winter of 2017–2018. Two teams were awarded in the challenge with an honorary mention: the Medintrex team of the University of Oulu and the team of software company Twenty Hexagons. The teams shortlisted for the final of the challenge worked on raw data collected by the Stara fleet of work vehicles and machines from their completed tasks and routes travelled, both with the help of sensors installed on the fleet and with mobile apps used by drivers. In addition to boosting the fleet’s operation, the challenge served as a test lab for the release of the City of Helsinki datasets as open data and for a new type of cooperation between data professionals and the City. The ultimate goal is both to improve city services and to produce new business opportunities for enterprises. 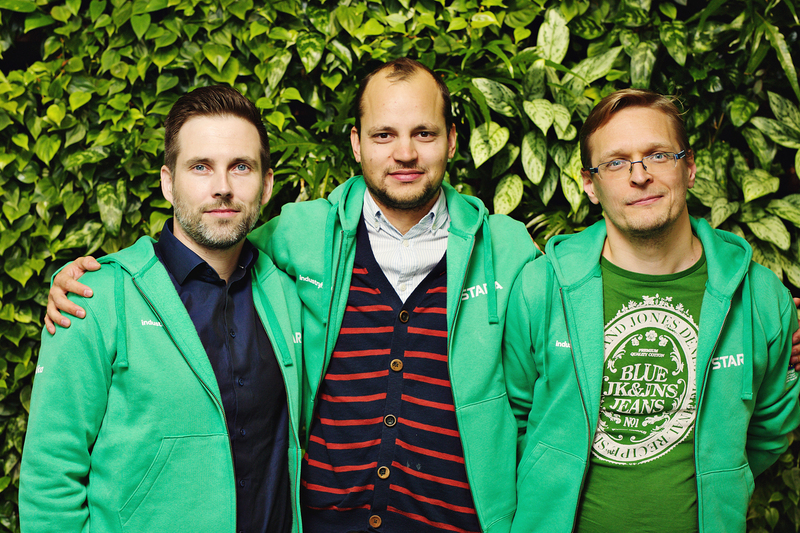 The highly successful StreetBooth hackathon was part of a bigger picture to develop Helsinki as a smart city. There will soon be a follow-up: a sequel to the innovation challenge entitled StreetReboot 2 will be held in conjunction with Hackjunction to be held on the Otaniemi campus of Aalto University 24–26 November 2017. This is Europe’s largest meeting of its kind, expected to gather together more than 1,300 coders from all over Europe. Stara, the City of Helsinki construction and maintenance company, joins Hackjuntion with a challenge workshop. Stara will provide the workshop with data related to summer-time park and street maintenance. The best two teams will be awarded. Find Stara’s StreetReboot 2 challenge on the Hackjunction website. The first StreetBooth innovation challenge was part of a two-year project financed by the European Regional Development Fund to develop urban areas and transport with Big Data as well as to develop an innovation platform for services and business activity. The Cities of Helsinki and Tampere and the Research and Education Centre Synergos at the University of Tampere advance the utilization of Big Data produced by cities in this project, which is linked with the Six City Strategy (6Aika) of the six biggest cities of Finland.